I using: zeofood7, zeobak, zeo vitalize, zeo pohn extra special, zeo amino acid. My net volume tank: 340 l. I build sps + zoasthid tank. Plz advice me the schedule of dosing all that product. And one more thing, i just have bought Coral system 1 - 4 but i see the manual cant use zeo pohn extra with coral system? 11. Type of light (watt, color temperature, how big, etc.) orphek v3, 1 gen 3 radion RW15, 1 gen 3 rw30. Can you please post when exactly you have added the ZeoVit reactor with the material to your system ? 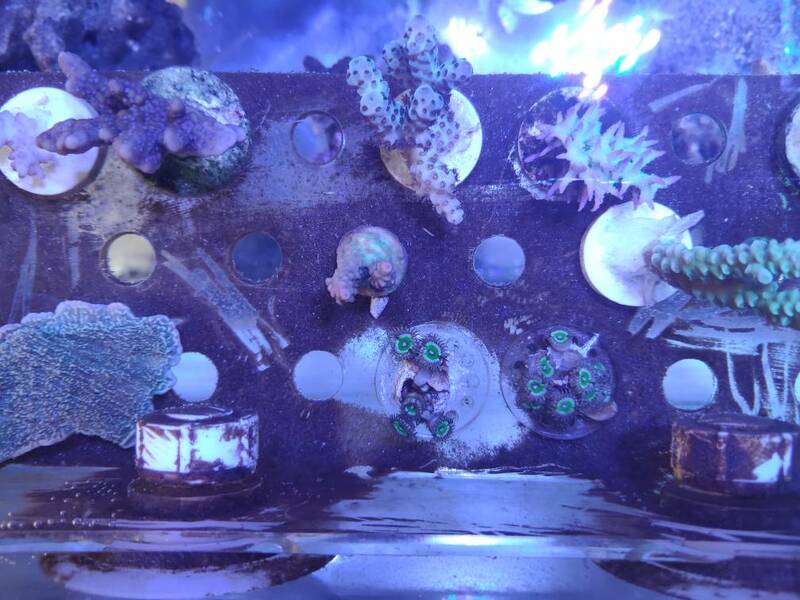 The coral system was not designed to be used with the ZeoVit system however you might be able to use it additional in lower quantities to improve coral coloration once your system is running nutrient poor stabile. If possible please also post a full tank picture and a picture of your sump. I have run zeovit a month, now i must change next new zeolite. Replace 90% of the ZeoVit material but just use 0.85 liters of the material. Stop dosing the other products you use at the moment, they can be used later if the system runs nutrient poor stabile. Additional run ~ 350 ml Activated Carbon (most use korallenzucht carbon) passively flown in the sum and replace it every 4 weeks but not at the same day as the ZeoVit exchanges. 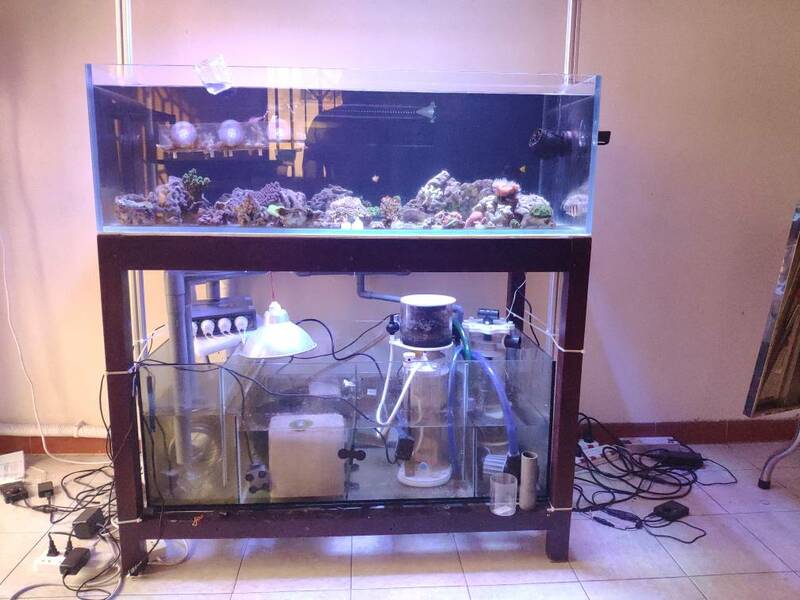 In about 2 weeks, when corals are doing fine you can switch your ZeoVit reactor to continuous flow. Flow should be ~ 350 liters per hour. 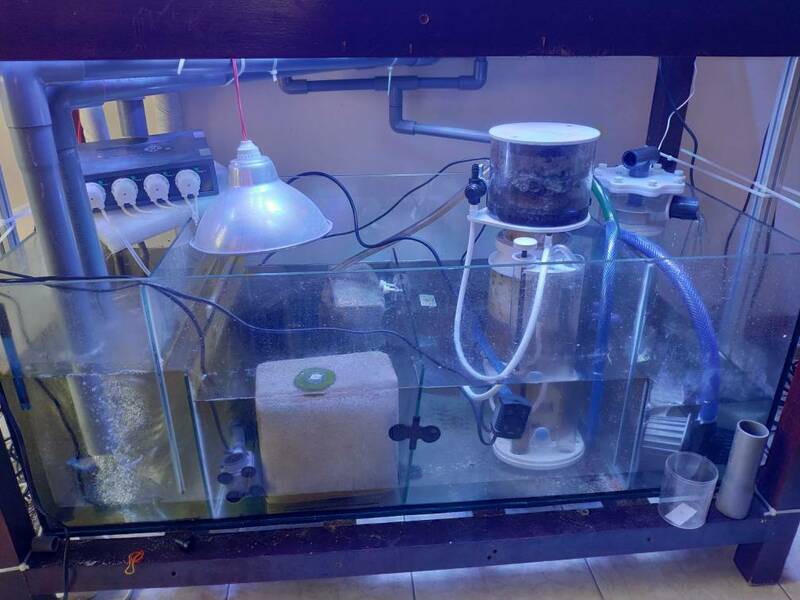 Your system is still very young and as you have used just dry rock for it I would expect the cycle will take more time before your tank is running stabile. 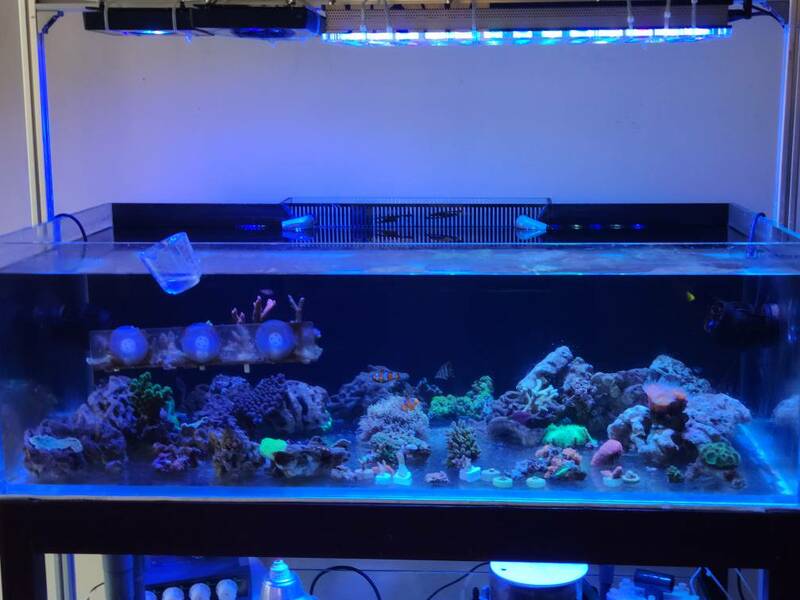 At the moment I would not add to much corals or fish. 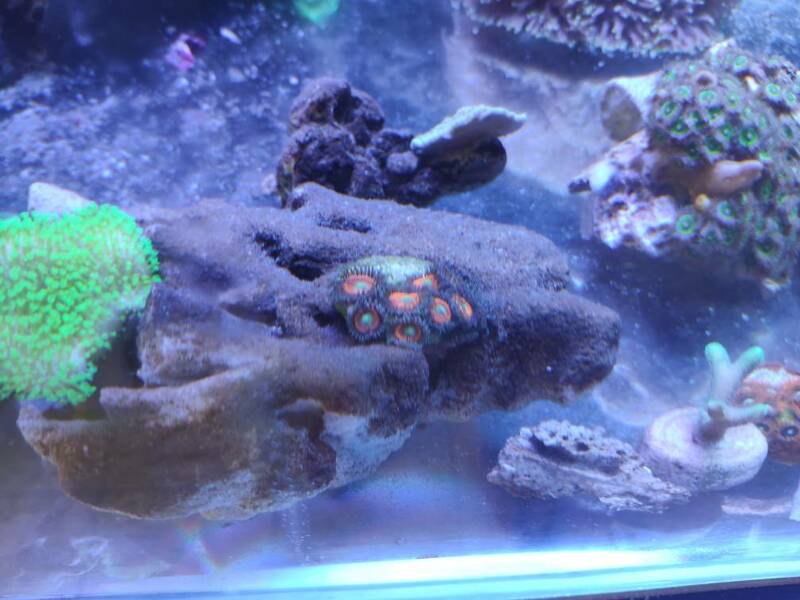 Have about sps: 15 frag sps, 1 small colonies, 1 medium colonies. Lps: 8 lps. As u write now i dont need to dose anymore orther addictive? Tank is still young, and now it's not a time to add something else. It takes some time. Is it the relationship of the pictures, showing that the water quality of the system looks foggy, not so clear and transparent? 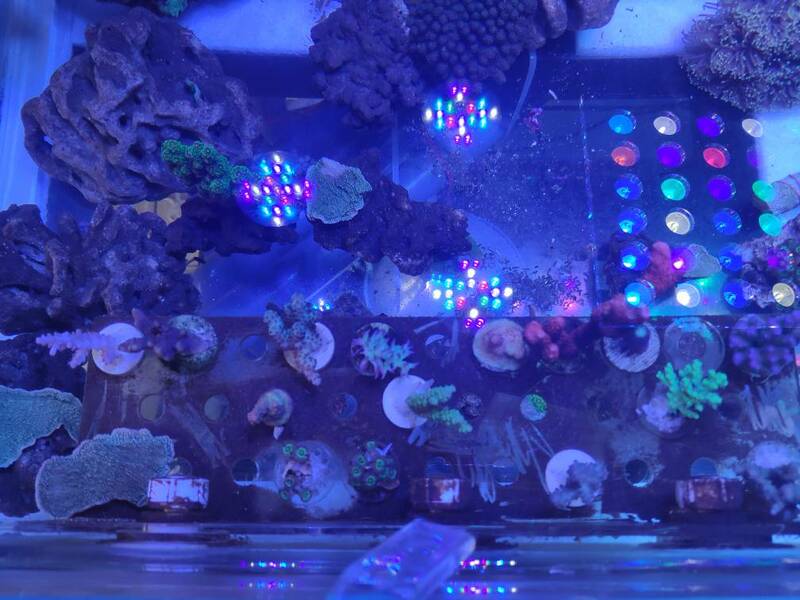 The square is marine pure block, bio filter, bacteria home. Here are some more pictures. I dont think my water foggy. yes i have some turbo snail, 2 hermit snail sir. Very beautiful coral, great. I don't know if you are concerned about potassium. It is a good thing to recommend to pay attention to potassium.